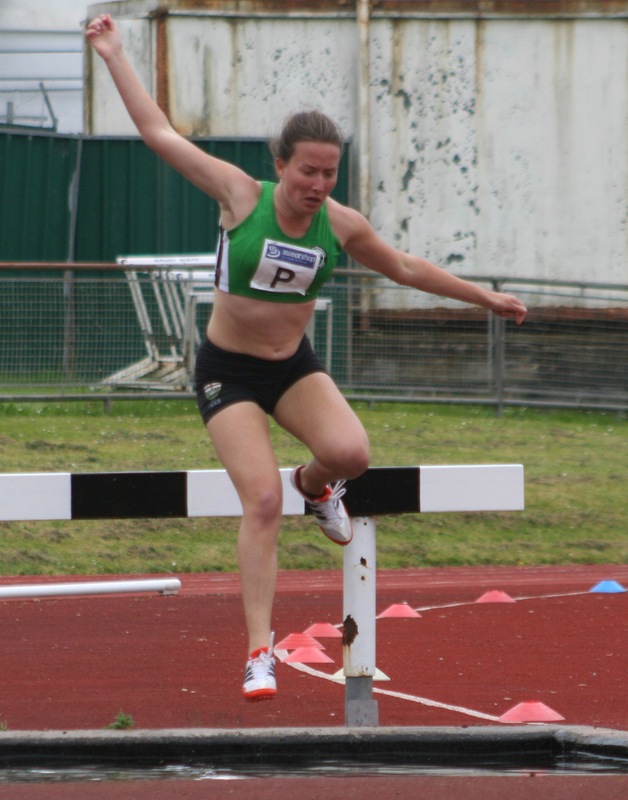 VICTORIA WEIR showed her strength and stamina by winning both the women’s 1,500 metres and 1,500m steeplechase events as City of Plymouth continued their good form in the Southern Athletics League. The Plymouth team, which is also made up of athletes from Erme Valley Harriers and Tavistock, were top scorers in the second Division Two West match of the season at Brickfields. They were up against opponents from Yeovil, Newbury and Radley at the city venue, having made a successful start to life in the high division last month at Andover. Plymouth had been promoted last season after winning the lower division. Weir (pictured left) clocked an impressive four minutes and 44.0 seconds to win the 1,500m flat before running 5:20.6 in the steeplechase event later. Plymouth did dominate the distance races at Brickfields. Dean Smith (1:57.7) and David Weir (2:02.6) won the men’s 800m A and B races, Jake Hughes ran 4:04.6 to triumph by 14 seconds in the men’s 1,500m before team-mate Chris Paul-Joseph Williams ran a personal best of 4:15.2 to win the B race. Jodie Allen won the women’s 1,500m B race in 5:04.06, while 51-year-old Simon Anderson stormed to victory by 12 seconds in the men’s 3,000m event with a time of 9:22.6. There was also double success for Plymouth in the women’s 3,000m, with Hannah Blair claining the A race in 10:27.7 and veteran Paula Simson clocking a personal best of 12:10.6 in the B race. Matthew Bradley ran 10.22.8 to triumph in the men’s 3,000m steeplechase. Away from the distance events, Jenna Bierton had a good afternoon for the Plymouth side. She set a PB of 15.5 seconds to win the B 100m hurdles race, jumped 1.50m to claim victory in the B high jump and won the A triple jump with 10.49. 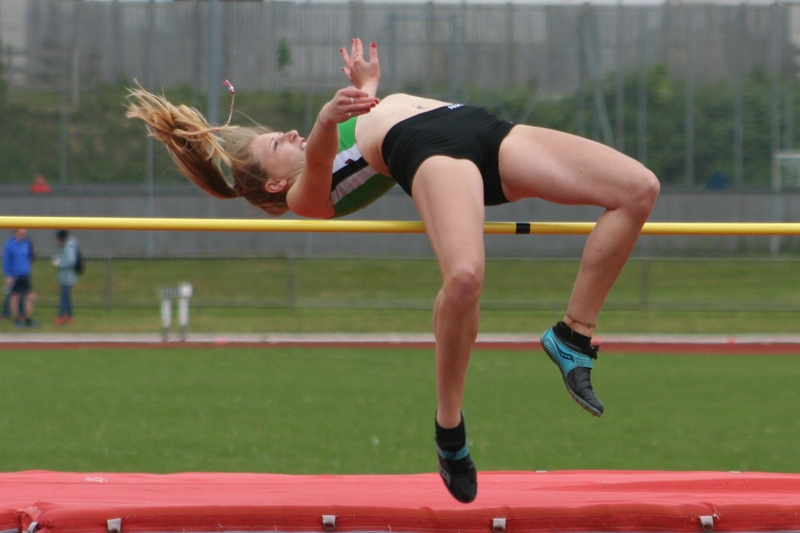 Aimee-Leigh Clowes won the B triple jump with 10.26 metres. Jade Simson won the women’s A 100m hurdles in 15 seconds flat, while Carie Robertson ran 66.5 seconds to win the 400m hurdles. The city side also claimed both men’s and women’s 4x400m relay races. Meanwhile, City of Plymouth hurdler David King came third in the B final at the Kurpfalz Gala international meet in Weinheim, Germany. King ran 14.01 in the heats, which saw 28 athletes finish, with the top six qualifying for the A final and the next six booking a place in the B final. In his final, hampered by a strong wind, King ran 14.15 to finish behind Germany’s Julian Marquardt and Belgium’s Dario De Borger. Tags: athletics, Plymouth. Bookmark the permalink.